The Golden Globes are always more fun (read: drunk) than the Oscars. More relaxed, less stuffy, and everyone seems to be having a great time. This vibe also translates to the style, where everyone seems to take a few more risks and doesn’t take it all so seriously. This year’s crop of red carpet style didn’t disappoint, and unique takes on traditional tuxedos were everywhere. Here are a few of our favorites. Perrenial red carpet style all-star Ali crushed it again last night in a navy three-piece. A tux like this is more proof that navy is the new standard when it comes to modern black-tie style. Probably the most classic-leaning of all of our favorites, Malek went for a super elegant vibe in a classic black tux with white accents. The white tie adds a clean, monochromatic look and his fit was absolutely razor sharp. This is how you do classic but in a way that’s subtle but not boring. All hail the king. Picking up right where he left off on his amazing Black Panther royalty style tour, Boseman rocked an incredible embroidered white tux complete with sparkled Louboutins. It takes a hell of a lot of confidence and swag to pull this off and Boseman did in spades. Speaking of white tuxes, Cooper’s Colonel Sanders Gucci swag was not to be outdone. Yes, it’s a lot, but dude pulled it off incredibly well. 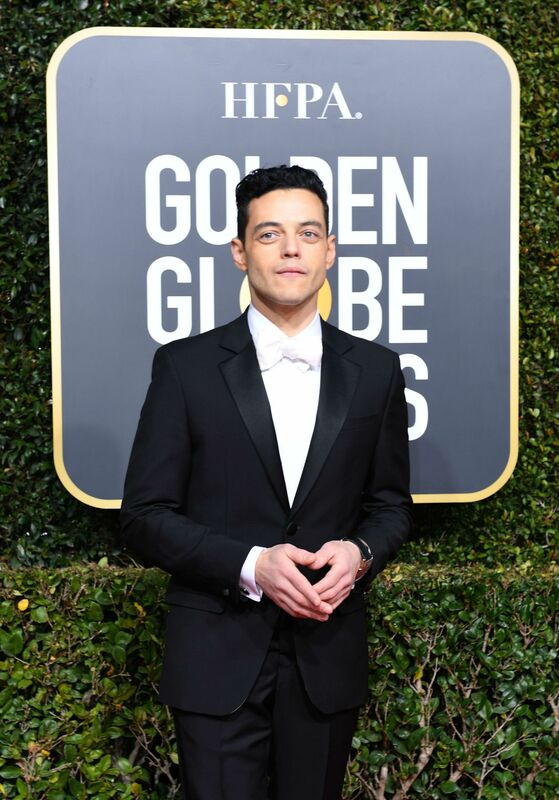 This is definitely black belt-level stuff here, and the key was that the shade of the tux (off-white, not bright white) and the simple black bow tie broke up the look just enough to make it seem both elegant and daring. Ronson’s always got a great mix of retro and fashion-forward lean to his style, and last night was no exception. He rocked a velvet double-breasted tux in a dark, inky blue to perfection. Perfectly fitted and finished with low-key details, it was the perfect mix of classic and modern. Another guy rocking velvet (seeing a trend here?) with some serious style, Robb Stark opted for all-black Armani velvet with simple accents. No wonder everyone’s calling him as the next James Bond.